Forex trading systems that have already proven themselves in competition environments are a great starting point to finding a system that suits your own personal risk and trading philosophy. Also remember what-ever systems you acquire, it's highly recommended to start on a demo practice account for at least three months (to see how it performs in different market conditions within that time period) and also not risk more than 1% to 3% of your capital on any one position. Sorry no ex-competition systems available at this point in time. However, we do have some top ranked systems - See the trading courses offered below. Ex-competition systems wanted for listing. If you know of any legitimate forex trading systems (or forex educators) that have won competitions in the past and they are currently offering courses for sale to the public please advise brainyforex and we will list them here. Contact me here. Tim Trush & Julie Lavrin's student Alex Fitz made 5400% in one year using his own special exit technique which is explained in this course. The average profit is said to put fund managers to shame, in the vicinity of 50% per month. Read & submit reviews here. Shirley Hudson adapted the "Noble Entry" technique to trade the London Close with incredible accuracy. 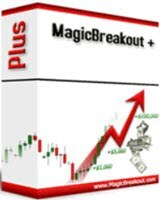 Over 35,364 pips gained since January 2010 with 93% accuracy.